Bottom bracket is needed - we sell those too! 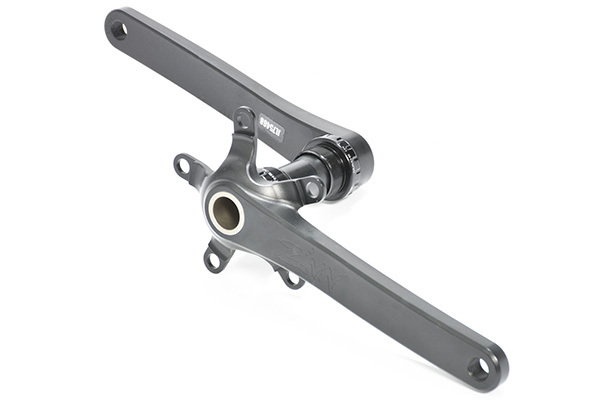 Our newest crank model, the ZIS-3 integrated spindle road bike cranks are our best cranks yet. We have greatly improved upon on our incredible ZIS-2 cranks. The ZIS-3 cranks are made from a AL-2024 aluminum alloy and has surpassed the ZIS-2 in the testing facility by 10 fold. The ZIS-2 cranks already surpassed EN Standards by four times the number of required revolutions, and the new ZIS-3 cranks are even stronger, stiffer, and longer lasting. We have also improved the finish on the ZIS-3 cranks. They are shot peened, then polished, then anodized for a beautiful shiny finish. Tall riders using long cranks can unload an unprecedented amount of power, and the ZIS-3 cranks are designed to harness that power and send you to the front of the pack. ZIS-3 custom road bike cranks are designed with an integrated spindle and external bearings, and are of the stiffest cranks in the industry. ZIS-3 cranks are the most high performance bicycle crankset for the big and tall rider available. ZIS cranks are 100% handmade in the USA with American materials. We use the best 2024 aluminum alloy for utmost strength and long life. The machined and black anodized finish is unique and beautiful and shows the high quality craftsmanship that is put into every single crankset. ZIS road bike cranks are compatible with a number of different drivetrain options. 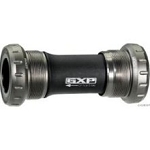 The cranks use a SRAM GXP external bearing bottom bracket, and can mount to any bike with a standard 68mm BB shell with English or Italian threads. Chainring options are 34/50, 36/52, or 38/52 and are sold separately. The 110bcd cranks are not compatible with Campagnolo 110bcd chainrings, but any other 110bcd rings should work fine. If your bike does not have a standard English or Italian threaded bottomb bracket shell, our cranks will work on your bike by using the appropriate bottom bracket found on this page. ZIS road cranks can be set up with 2x10, 2x11, 1x1, or 2x9 chainrings. Sram or FSA chainrings work best. ZIS Road cranks work with singlespeed, belt drive, and internally geared hub systems. Great. For me, a cure for repetitive-strain injuries. Awesome product. Well built and designed. Easy to install with the Wheels Manufacturing bottom bracket I bought with it. Inclusion of pedal spindle washers is a nice touch. Comes with superb documentation and instructions. FSA Super Rings in 34-50T need the chain-slip pin filing down. This is mentioned in the documentation and is easy. I bought the 195mm length, which is perfectly proportional for my inseam (93 x 0.21). Q-factor being a little wider than standard cranks is nice; allows fitting to my standard frame with no modification. I have to say, compared to 'standard' 175mm cranks, they don't give me any extra performance, but this is probably because I'm possibly the least competitive cyclist on the planet. What they have done is saved me from my repetitive strain injuries, sustained from touring too far on too short cranks. These keep me riding. If I have one, niggly insignificant critism, it's that you can't achieve a perfectly even chainline with the Wheels Mfng BB; but you probably could if additional, 1mm-increment BB cup spacers were sourced.